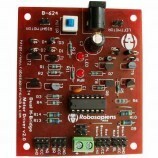 TheL298 dual full-bridge motor driver board for Arduino/Raspberry-pi,uses double H driver ic L298 which an integrated monolithic circuit in a 15 - lead Multi watt and Power SO20 packages. 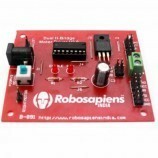 It is a high voltage, high current dual full-bridge driver designed to accept standard TTL logic levels and drive inductive loads such as relays, solenoids, DC and stepping motors. 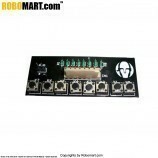 Two enable inputs are provided to enable or disable the device independently of the input signals. 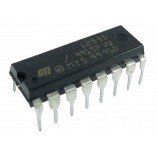 The emitters of the lower transistors of each bridge are connected together and the corresponding external terminal can be used for the connection of an external sensing resistor. 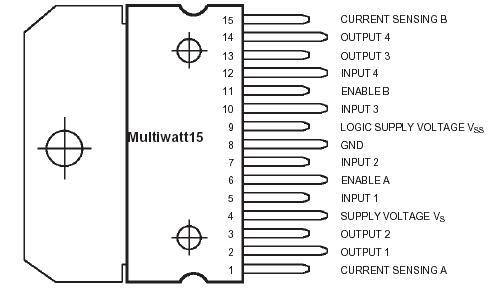 An additional supply input is provided so that the logic works at a lower voltage. 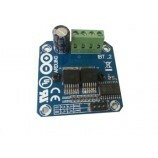 Product Image of L298 Motor Driver Arduino Board . 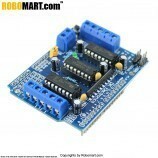 Pin Diagram of L298 Motor Driver Arduino Board . Operating Voltage: Upto 46 V.
Logical "0" input: 1.5 V.
(HIGH NOISE IMMUNITY)Light weight, small dimension. 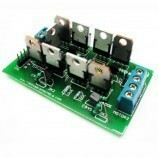 PBT connector for Powering the Board. 2 DC motor/ 4 coil dual phrase stepper motor output. RF Based smart robo car. 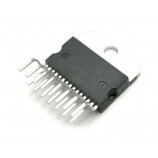 Other DIY Projects Requiring Inductive Load Interface with Microcontroller. 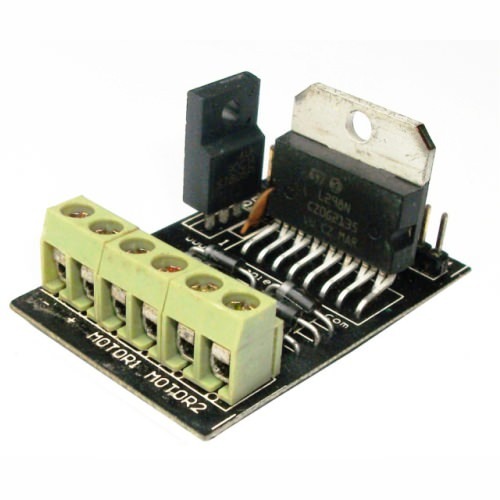 Also searched as: l298 motor driver, l298 motor driver circuit, l298 stepper motor driver, l298 motor driver board, l298 dual h-bridge motor driver, motor driver circuit using l298, l298 dc motor driver arduino, l298 based motor driver, l298n motor driver, l298n motor driver circuit, l298n stepper motor driver, l298n motor driver board, l298n dual h-bridge motor driver, motor driver circuit using l298n, l298n dc motor driver arduino, l298n based motor driver, l298 dual full-bridge motor driver arduino.